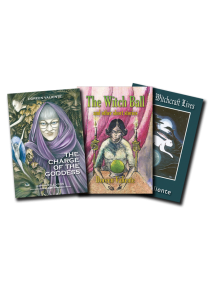 This bundle contaions paperback versions of "Charge of the Goddess" (poetry by Doreen Valiente), "The Witch Ball and Other Short Stories" (by Doreen Valiente) and "Where Witchcraft Lives" (by Doreen V.. 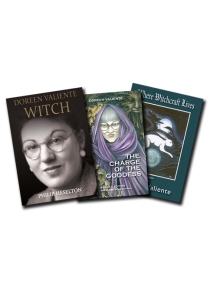 This bundle contaions paperback versions of "Doreen Valiente Witch" (the biography by Philip Heselton), "Charge of the Goddess" (expanded edition poetry book by Doreen Valiente) and "Where Witchcraft .. 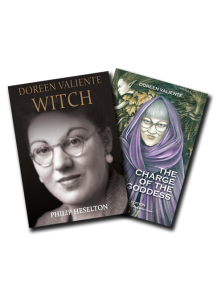 This bundle contaions paperback versions of "Doreen Valiente Witch" (the biography by Philip Heselton) and "Charge of the Goddess" (expanded edition poetry book by Doreen Valiente) .. 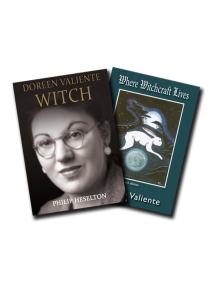 This bundle contaions paperback versions of "Doreen Valiente Witch" (the biography by Philip Heselton) and "Where Witchcraft Lives" (by Doreen Valiente) .. 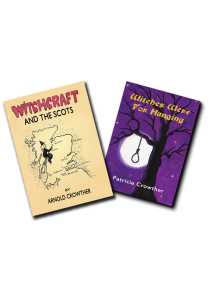 This bundle contaions paperback versions of "Witchcraft And The Scots" by Arnold Crowther and "Witchs Were For Hanging" (a novel by Patricia Crowther) ..